Ahmad, H., Izzati Abd Ghalib, N., Mohamed Shamshudin, F., Ismail (Malaysiaa), N. (2017). Leachate Characterisation and Heavy Metal Removal by Clay-Pressmud Batch Equilirium Study. 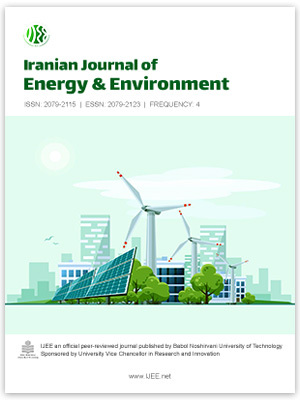 Iranian Journal of Energy and Environment; previously called: Iranica Journal of Energy & Environment, 8(4), -. Harlina Ahmad; Nurul Izzati Abd Ghalib; Fathiah Mohamed Shamshudin; Norli Ismail (Malaysiaa). "Leachate Characterisation and Heavy Metal Removal by Clay-Pressmud Batch Equilirium Study". Iranian Journal of Energy and Environment; previously called: Iranica Journal of Energy & Environment, 8, 4, 2017, -. Ahmad, H., Izzati Abd Ghalib, N., Mohamed Shamshudin, F., Ismail (Malaysiaa), N. (2017). 'Leachate Characterisation and Heavy Metal Removal by Clay-Pressmud Batch Equilirium Study', Iranian Journal of Energy and Environment; previously called: Iranica Journal of Energy & Environment, 8(4), pp. -. Ahmad, H., Izzati Abd Ghalib, N., Mohamed Shamshudin, F., Ismail (Malaysiaa), N. Leachate Characterisation and Heavy Metal Removal by Clay-Pressmud Batch Equilirium Study. Iranian Journal of Energy and Environment; previously called: Iranica Journal of Energy & Environment, 2017; 8(4): -.